In today’s competitive time, brands that offer skill development are witnessing high demand as most of the organizations are suffering from the skill gap. 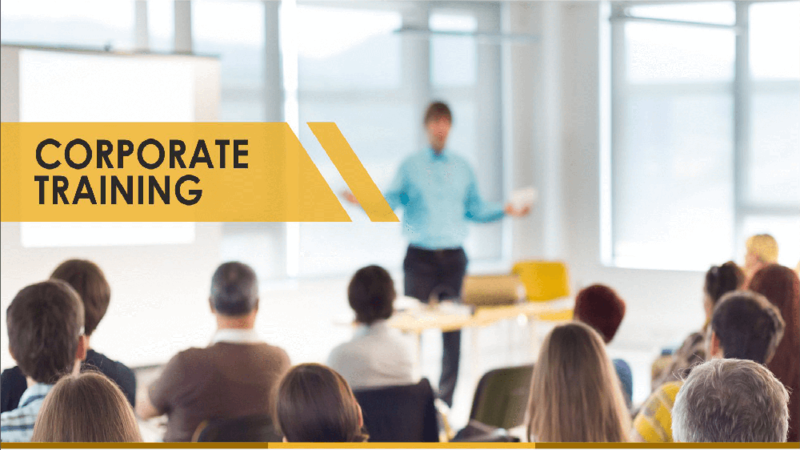 Corporate training has emerged as one essential element while designing and establishing a corporate business. Franchisors and entrepreneurs have realized the importance of having skilled and educated staffs on board for delivering quality performance. New ventures are merging that is providing training to employees, educating and empowering them in order to witness growth. It is believed that companies that are having skilled and educated staffs on board will play a major role in the future. According to a report, the corporate training industry is growing at a CAGR of 11 percent between the years 2016-2020. The corporate training industry has started to boom, expected to play a strong role in bettering the economic conditions of various regions nationally. Artificial Intelligence is playing an essential role in providing the appropriate training materials to employees and staffs. As this era is being considered as the ‘era of personalized learning’, corporate owners are focusing more on designing programs that could result in a fruitful manner. Owners could ease up the process as Artificial Intelligence can reduce time in reading the text documents along with detecting concepts and learning paths. This technology helps improve the documentation of the training process and create subsequent tests and training content. Best class content never goes out of fashion. It is critical that the content of the corporate training material is easily understandable. The domain for content creation is booming, where major companies are entering the segment. Offering expert-authored content, these companies are making it easier for small and medium enterprises, upscaling their training programs. Modern corporate training programs cannot run successfully in the absence of collaborative tools like Skype, Google Hangouts, etc. For large organizations, these tools increase inter-organizational communication and build knowledge within their structures, while smaller organizations gain exposure to training modules from across the globe. About Us: Established in the year 2001, Kakal Kai Ruchi is..
About Us: Owned and operated by Bloombay Enterprises LLP, The Belgian Waffle Co. was..
About The London Shakes: The London Shakes are the re-inventors of..
Building A Stage Of Success Via Franchising..
A Guide To Start A Blood Bank..
Top Franchise Business Opportunities in Hyderabad..
4 Formulas to Delivering Best Experience!.. Leading the Franchising Business Ahead..